The Pound Euro (GBP/EUR) exchange rate held steady today and is currently trading around €1.1706 on the inter-bank market. 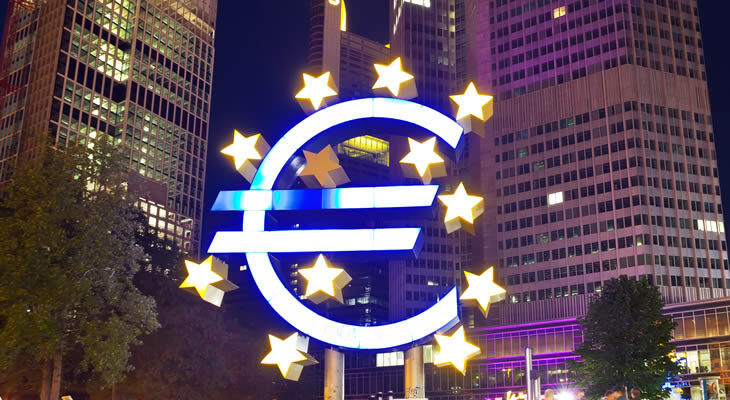 The Euro (EUR) steadied against the Pound (GBP) today following dovish comments from the President of the European Central Bank (ECB) Mario Draghi who said there could be delay to hiking interest rates. Today also saw the publication of the Italian business confidence figures for March, which came in lower-than-expected at 100.8, dampening confidence in Italy’s economy which continues to struggle. Italy’s non-EU trade balance figures for February, however, increased. The Pound meanwhile has benefited from increased hopes of the breaking of the Brexit deadlock today, as MPs head back to the House of Commons for ‘indicative votes’ which could determine the course of Prime Minister Theresa May’s withdrawal agreement. Sterling is benefiting from decreasing fears of a no-deal Brexit as pro-Brexit MPs, such as Boris Johnson and Jacob Rees-Mogg, are showing increasing support for Mrs May’s deal in light of the alternatives. Tonight, however, will provide an insight into MP’s preferences for Brexit, and although these will not be legally binding, they will, however, potentially indicate the next steps by Parliament. Euro traders will be looking ahead to tomorrow’s release of the German Harmonised Index of Consumer Prices for March, which are expected to decrease. Tomorrow will also see the publication of the Eurozone’s business climate figures for March. The GBP/EUR exchange rate, however, will remain fixated on Brexit developments this week following tonight’s important vote. And any signs that Theresa May’s Brexit deal will head for a potentially successful third ‘meaningful vote’ could provide the Pound with some much-needed uplift.